At Manor Oak we provide Early Year's education for children aged 2 - 4 years within our purpose built Nursery building. We offer a wide range of learning experiences for our children using a variety of activities, play and exploration to support each child's development. We follow the Early Years Foundation Stage and Birth to Three Matters Frameworks to deliver an exciting and stimulating play-based curriculum. 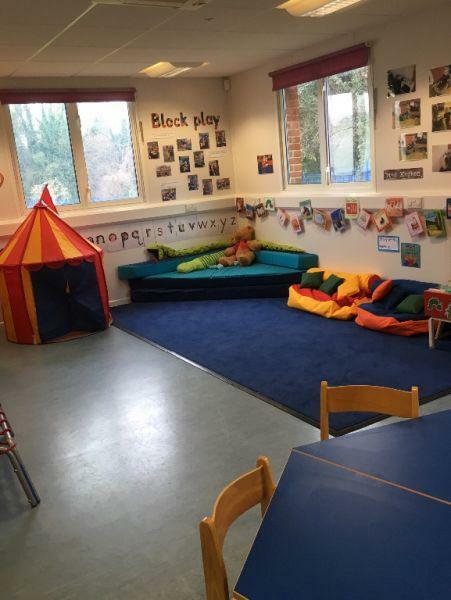 The Nursery provides a happy and safe environment for children to develop their pre-school skills. We believe that children who attend our Nursery make extremely good progress throughout their time at school. Early Years is led by Mrs Wilkins who is a Specialist Leader of Education in Early Years. All of our children are taught by staff who offer a high level of expertise within Early Years. This includes teachers and teaching assistants, one of whom is trained to deliver high quality speech and language support. There are close links between Nursery and Reception class. This helps with transition into the main school with children feeling safe and secure in a familiar environment. School policies cover every aspect of nursery life. If you want to know our policy on something, please ask the office.